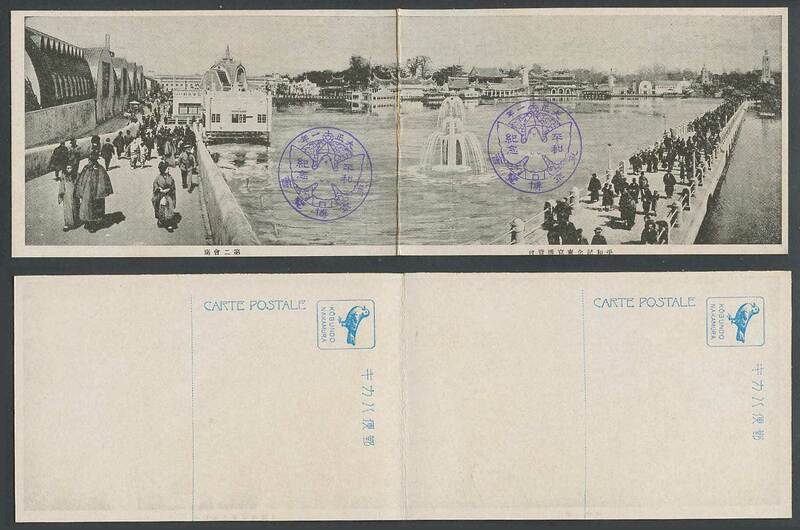 Vintage 2 Old Japanese Postcards make 1 Panorama View. Japan - Tokyo Peace Commemoration Exposition Exhibition, 1922, 2nd Second Hall. Bridge. Lake. Fountain. Towers. Street Scene. With Commemorative Cachets. 平和記念 東京博覽會 大正十一年 第二會場.